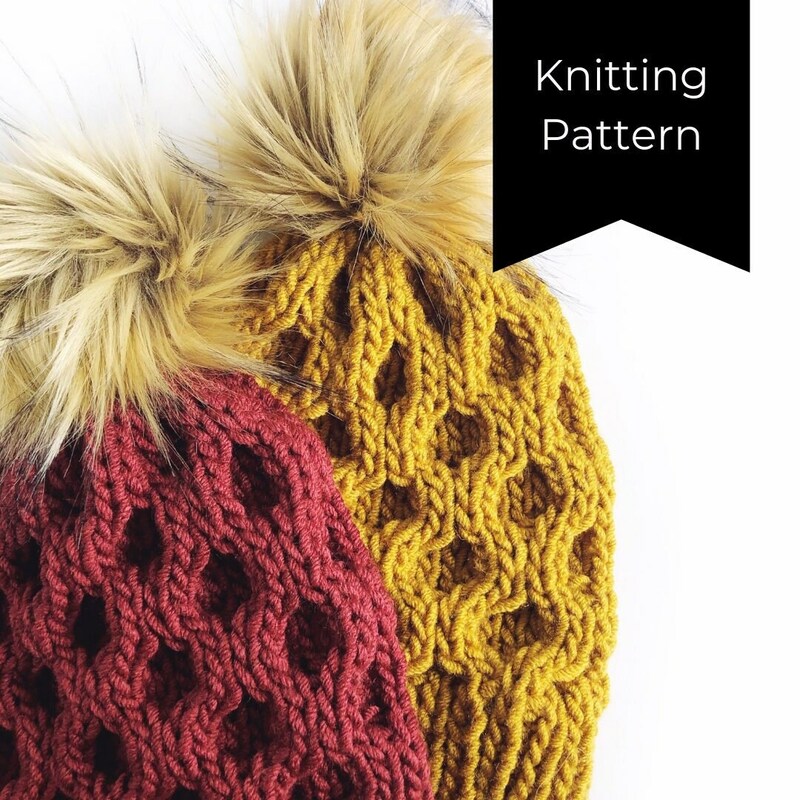 The Oh Honey Beanie is a cozy knitting pattern designed by Kneedles & Love. This beanie was inspired by my love for all things honeycomb! This pattern is perfect for an ambitious beginner. The cables are beginner friendly and I hope you enjoy each stitch that has been designed with love! Please follow and tag @kneedlesandlove and/or hashtag #madewithkneedlesandlove on Instagram for your work to be featured. I would love to see your own beanies being made and the colors you choose!